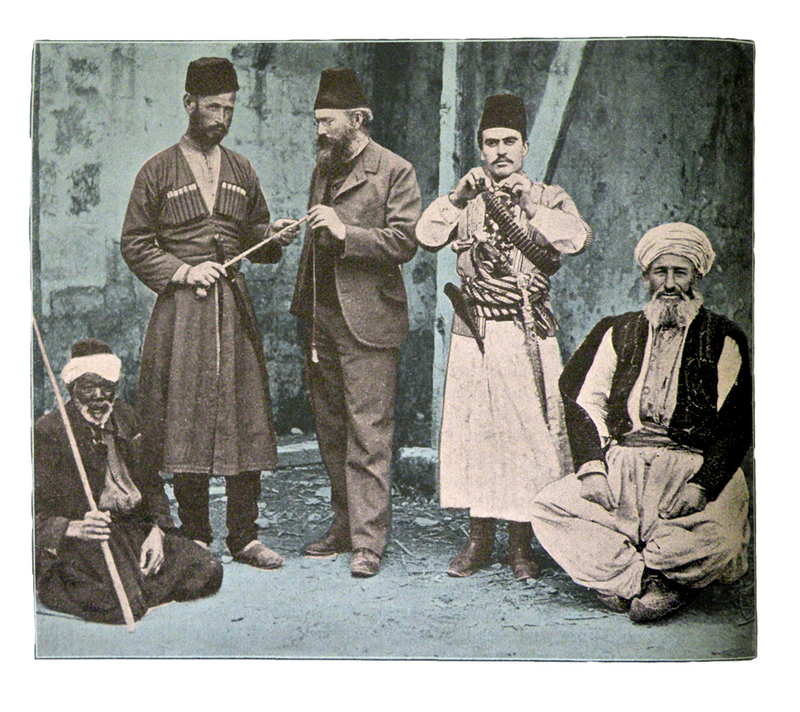 The collecting of pictures from the Ottoman era (postcards, photographs and lithographs) is an important part of Houshamadyan’s daily work. 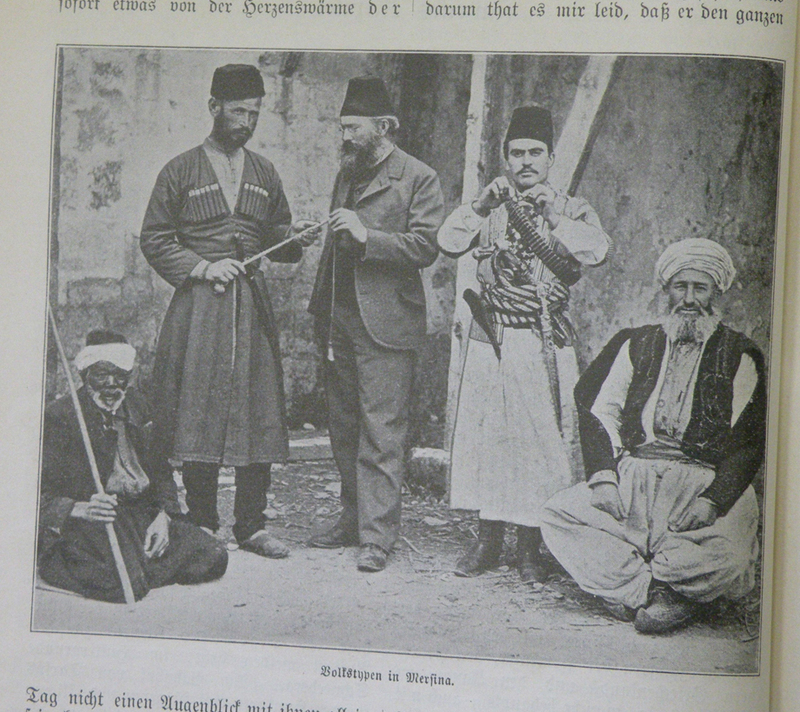 These kinds of pictures are the witnesses of a whole era, and thus are an important tool in our efforts to reconstruct Ottoman Armenian memory and daily life. b. Printed photographs, lithographs and drawings. We carry out research in various archives – personal, governmental, those belonging to organisations, establishments etc. - to find items belonging to this first group. The friends of Houshamadyan also often send examples of such pictures to our e-mail address. Items in the second group are easier to find in printed books (Armenian memorial books, the press of the time that interests us, various journals, western travellers’ literature etc.). The work of collecting visual images is only the first stage. Unfortunately many of these pictures are obviously not of the best quality. Over a period of time they have lost their glossiness or are the results of low quality print production. For this reason, under normal circumstances, we would probably disregard such materials and not insert them in our web pages, but the reality is that they are rare witnesses of a complete era. This circumstance has driven our editorial staff to carry out work on the majority of the pictures that are presented to the public on our website - to improve their colours, brightness and quality, with the aim of creating images that are equal to the high expectations of our contemporary visual age. We present some examples of our quality improvements and rework here. The djerdjer (cotton gin) is a tool for separating the seeds from bolls of cotton, used in agricultural work. An onion, with seven feathers stuck into it (called the khorplogh or khulindjag) is an ornament hung from the centre of the ceiling for the whole of Lent in Palu houses. Rev Harutiun Sarkisian (Alevor), in his marvellous monograph, not only provides textual details of the cotton gin and this ornament, but has also drawn them. Thus he gives us a rare opportunity to reconstruct a trade and its tools, as well as a traditional ornament that are legacies of our past, both in textual and visual-pictorial terms. Houshamadyan’s Art Director, Silvina Der-Meguerditchian has attempted to give these two drawings a new quality through her efforts and suggestions, making them more alive and eye-catching. These two reworked drawings are the work of Juan Manuel Moreno (Art Director's assistant). This photograph belongs to the Nubarian Library collection (Paris). It is of an Armenian General Benevolent Union (AGBU) meeting in Samsun in 1913. Houshamadyan has, in its files, a scanned version of the original. Houshamadyan’s editors worked on it to improve the quality of the image. This picture shows a bride in Sepastia/Sivas in her traditional finery. It was published in Yerevan in 1967. It is a Soviet publication and, like many others of its type, is of low quality, on poor paper. In this instance Houshamadyan’s editors tried to give this drawing a new quality. Instead of editing the drawing’s colours, an attempt was made here to adapt it to the design often used in the pages of our website, which is to show various words or pictures drawn with dots/holes. These dots are perforations in the original paper and form the lines of the image. An example of this can be seen on the title page of the website, in the way that the HOUSHAMADYAN name appears. It is possible to correlate the perforations (holes) with the memory of the past, forgetfulness, disappearance and absence. In other words themes that are directly linked to our project. Rev Haroutiun Sarkisian (Alevor), Palu: its customs, educational and intellectual state and dialect (in Armenian), published by Sahag-Mesrob, Cairo, 1932. Ferdinand Brockes, Quer durch Klein-Asien, Gütersloh, 1900. Arakel Badrig, Armenian costume from the earliest times to the present day (in Armenian), Yerevan, 1967.